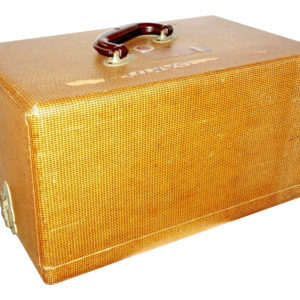 Home / Vintage Cases / CINEMA PROJECTION EQUIPMENT CARRY CASE BOX CIRCA 1940S. 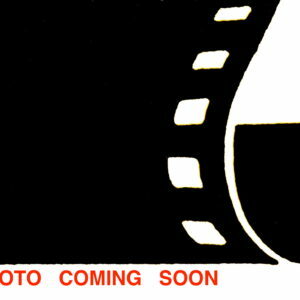 MADE BY AMPRO PROJECTOR COMPANY. RARE EMBOSSED EMBLEM CASE. 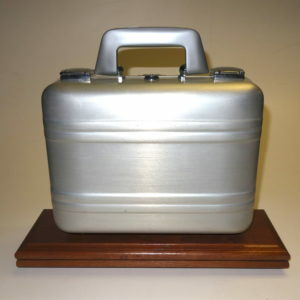 Offered for your consideration is this rare and authentic Cinema Projection Equipment carry case. 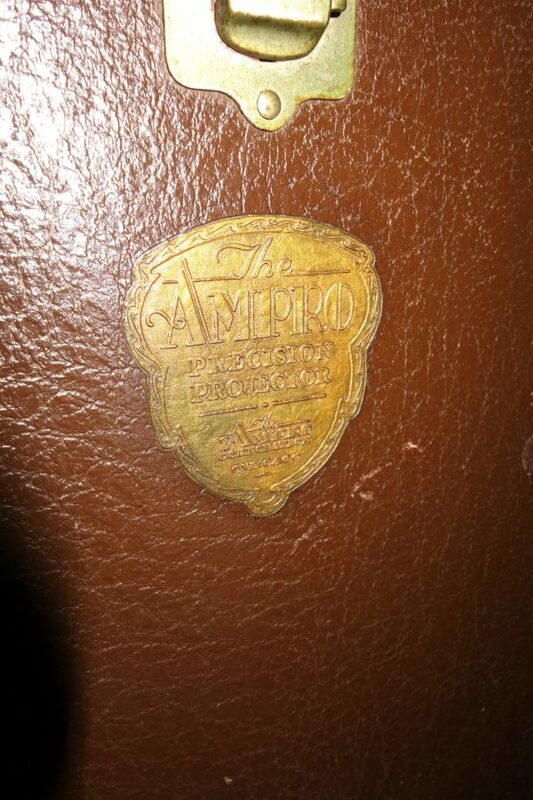 Made by the Ampro Projector Company. Circa 1940s. NOS leather handle. 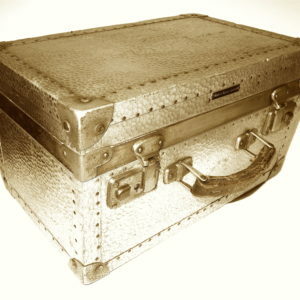 All original case cosmetics and patina. Very sold and would present well as a decor accessory, small end table, artifact stand base or decorative curiosity. No mildew and may date back as early as the late 1930s. 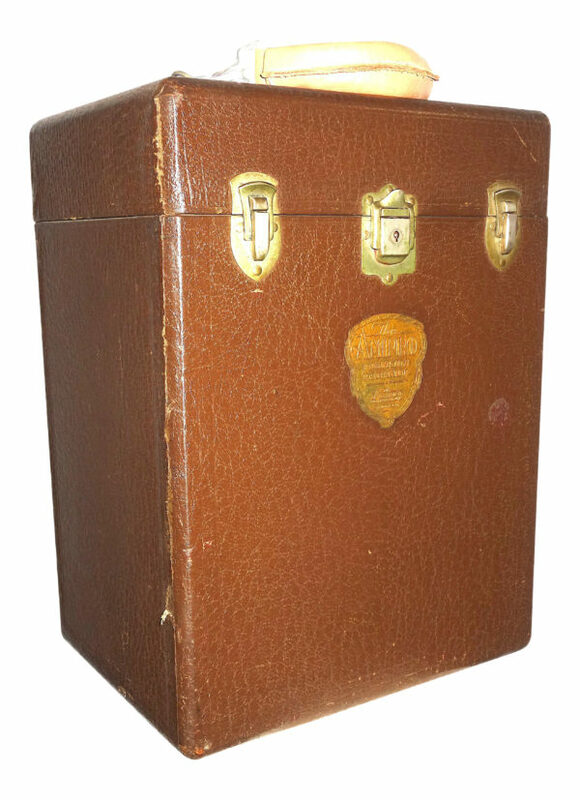 This is a wonderful opportunity to own a true cinema equipment case relic.